It takes a lot of practice to make something simple seem amazing. Veteran Vergennes singer, songwriter and journeyman collaborator Josh Brooks has delivered precisely that with his sixth solo effort, Tall Tales. The record is composed entirely of single takes into a single microphone, crafted at an undisclosed location that Brooks refers to as Edge-of-the-Bed Studios. It's the kind of stark-naked approach that Alan Lomax pioneered and T Bone Burnett still approves of. The results are a million miles from "mountain music" or Americana pastiche, though. Brooks is a polished diamond of a songwriter with a language all his own. His writing and performance are inseparable, a pitch-perfect, honest blend of bruised wisdom and stubborn hope. Brooks is also wickedly smart and ambitiously referential, but even this gets played down, anchored into relatable details and unfolded through the stories themselves. Ultimately, that is what makes Tall Tales such a great work: Everything here exists to serve The Story. On the guitar, Brooks is little different. His approach is deceptively simple, a transparent accompaniment that can open up and dominate the room when it needs to. Considering how simply these sessions were recorded, the tonal range is all the more remarkable, as Brooks carefully sculpts the dynamics and bite of his acoustic guitar to suit the song itself. The mastering work of Ryan Power deserves a special mention for carving out subtle but distinct spaces that allow all nine songs here to really shine. Brooks' most impressive asset might be his voice — a clear, cutting instrument with a timeless sound. He's got a patient delivery that can make any line compelling, and shows off a powerful range on Tall Tales, despite the humble appearances. The sharpest contrasts on the album are the hauntingly understated "Queen for a Day," delivered in a hoarse whisper that resonates like a church organ, and the straightforward folk of "Handsome Boy." On the latter, Brooks belts out some startlingly good melodic hooks and unveils a catchy foot-stomper. These two cuts almost don't sound like they're from same person, yet they both fit nicely into the same short album. With Tall Tales, Josh Brooks is expanding an already impressive, and diverse, catalog of albums and side projects worth exploring. The recording's carefully honed stories command attention and reward close listening. Embedded, as he puts it, as "a father, teacher and songwriter," this compulsively creative and prolific musician is evolving into something of a state treasure. Fortunately, we are assured that a second installment "shouldn't be too far behind." 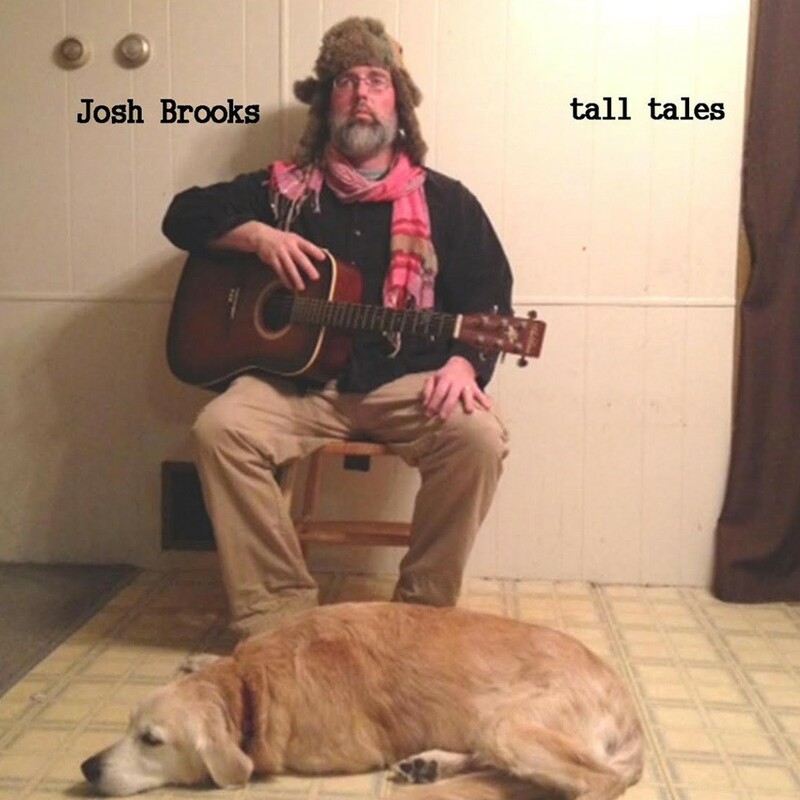 Josh Brooks will celebrate the release of Tall Tales with a performance at the Bixby Memorial Library in Vergennes on Saturday, January 24. Tall Tales is available at joshbrooks.bandcamp.com.